Consistent branding is an important function of doing business. Your brand is not just your logo. It is your message. It is everything you communicate about your business. The key to having a successful brand is consistency. Your business cards need to complement your marketing materials and so on. Your message has to be clear and concise to consumers throughout your operations. Failing in any aspect of branding your business can cause confusion for your customers in the best situations. It will damage your brand in the worst case. Published by Jeremy Cook, in Branding, Grow Your Business, Marketing, Small Business Solutions, Social Media. The primary objective of any business is to attract new customers and retain current customers. It is important to create a content marketing strategy when more consumers than ever turning to the internet to find information about local businesses. Consumers are fed up with banner ads and popup ads as evidenced by the advent of ad blocker software. This means businesses have to find a new more subtle way of communicating with consumers. 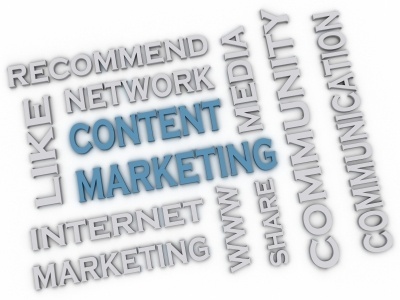 Content marketing is the way to do just that. Published by Jeremy Cook, in Branding, Content Marketing, Grow Your Business, Small Business Solutions, Social Media.